President Trump has followed through on a July promise to reform the US Postal Service (USPS), which he referred to as Amazon's "Delivery Boy." On Tuesday, the Trump administration released a report that recommends a series of measures that the Trump's USPS task force says are needed to bring in more revenue for the profit-challenged Postal Service, which reported $3.9 billion in losses during fiscal year 2018, according to The Hill. "Although the USPS does have pricing flexibility within its package delivery segment, packages have not been priced with profitability in mind," the report's executive summary states. "The USPS should have the authority to charge market-based prices for both mail and package items that are not deemed ‘essential services.’"
The report recommends that the USPS divide its mail and package shipments into essential and commercial service categories. Many e-commerce shipments would fall into the latter category, which would not be protected by existing price caps and thus be subject to rate increases. 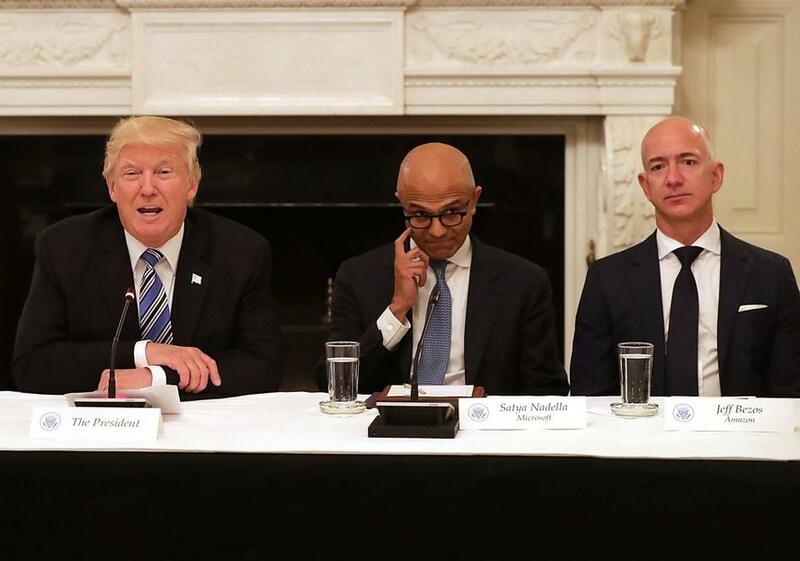 While the move is clearly aimed at Amazon - which Trump warned in July over unfair business practices, administration officials have pushed back at the idea that the measures were specifically aimed at the company. "None of our findings or recommendations relate to any one customer or competitor of the Postal Service," said one senior administration official in an anonymous statement to The Hill. "The Amazon Washington Post has gone crazy against me ever since they lost the Internet Tax Case in the U.S. Supreme Court two months ago. Next up is the U.S. Post Office which they use, at a fraction of real cost, as their “delivery boy” for a BIG percentage of their packages...." Trump tweeted in July. The changes are part of an initiative Trump began in April when he assembled the USPS task force. The report also covers other areas where it thinks the USPS could improve its finances. It called on the Postal Service to restructure pre-payments of employee retirement and health benefits, which business groups say is the main driver of its fiscal woes. But it stopped short of endorsing bipartisan legislation that would end the pre-payments altogether, saying that doing so would place too much of a burden on taxpayers.